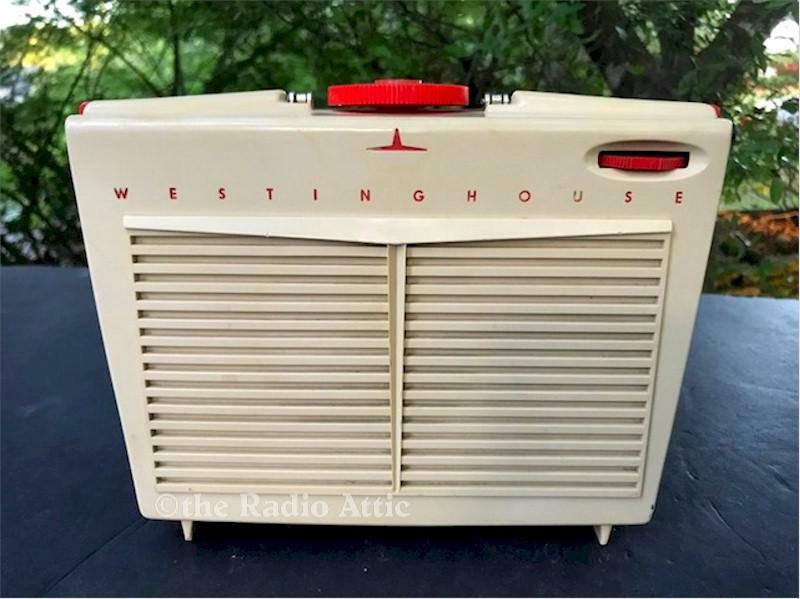 This Westinghouse is one of the cutest "beach portables" from the 1950's. This model is two tone plastic in beige and scarlet. The other color it came it was yellow and blue/gray. The case is in excellent condition with no cosmetic issues like cracks or chips. Everything is original and in place, except the battery, which is not necessary since it plugs in and plays excellent on AC. The replacement batteries are expensive, if you can even find them. I tuned in many distant stations last night. It really has that Jetsons look, and the colors really pop. I have had several of these particular models, and this is in the nicest condition of all of them, and also plays the best. About 8-1/2"W x 6-1/2"H x 3"D.
You are visitor number 534 to this page.